Converting movies to a disc allows you to share the disc with your near and dear ones. Moving not needed movies to a DVD paves way for storing other important documents on your PC. Burning movies to a DVD disc creates a physical backup that can be used in case of emergencies. In all the above and other conditions, you would need software that can burn DVD movie Windows 10 and other OS versions. Find out the best solutions on how to burn movies to DVD in the following parts. If you are looking for solutions on how to burn a movie to DVD in Windows 10, Windows 8 and Windows 7, you will find a number of programs. But choosing the right one is important for the hassle-free process. We recommend using Wondershare UniConverter (originally Wondershare Video Converter Ultimate) that allows burning movies and other video types to DVD as well as Blu-ray disc. This expert video toolbox is feature rich software for video conversion, transfer, editing, DVD burning, and other functions. Mac version of the program for latest OS versions is also available. Burn various video types and formats to DVD and Blu-ray discs. Allow to crop, trim, cut movies, add watermark, and other special effects to video before burning to DVD. Choose from a number of free static and variable DVD templates to customize your discs. Add a background image or a music file to your disc. Super fast movies to DVD burning speed. Burn a number of DVD discs with one time settings. Allow burning movies and videos to DVD folder and ISO files as well. Multiple features: Add video metadata, GIF maker, cast video to TV, VR converter and screen recorder, video downloader, video converter. Step 1 Launch Wondershare movie to DVD converter and import movie files. Open Wondershare UniConverter (originally Wondershare Video Converter Ultimate) on your Windows PC and choose the Burn tab. Click +Add Files to import movies from PC that you want to burn. Step 2 Choose a DVD template. The added movies appear as thumbnails with details on the program interface. 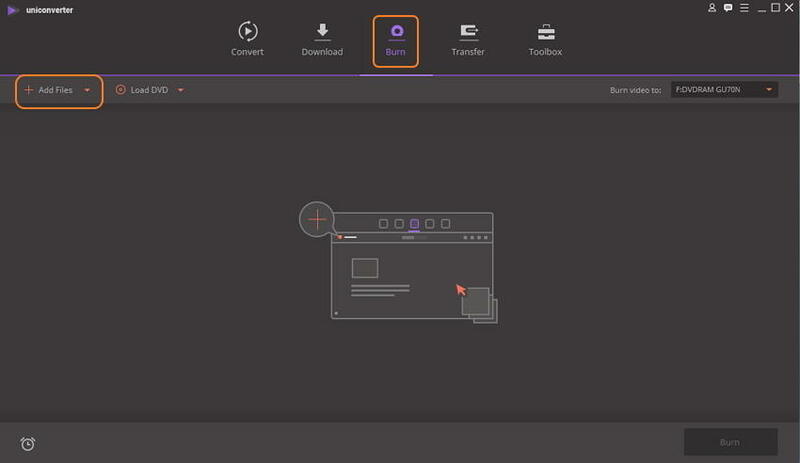 On the right side of the interface, move right and left arrows to check for the DVD template designs. Choose the one that goes well with your movie theme. To add a background image of a music file, click the edit button next to template name. Step 3 Enter Disc settings for Movies to DVD. Give a name to the DVD disc and choose values from the drop-down list for menu type, aspect ratio, TV standard, and Quality. Step 4 Burn movies to DVD on Windows 10. Next, insert a blank DVD into your PC’s disc drive. 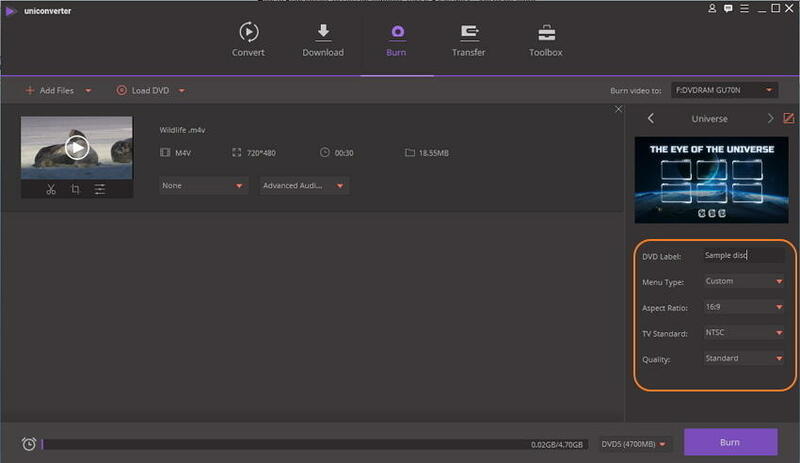 On top-right corner, open drop down menu and choose the location where you want to burn your movies at the "Burn video to:" tab. Finally, hit the Burn button on the bottom right corner to start burning your movies to DVD disc. You can go to learn how to convert movies to DVD on Mac in details. Windows Media Player is the default player for Windows devices. The player supports a wide range of formats for playback, in addition to this, it also allows burning CD and DVDs. Using the player, you can burn audio CDs, data CDs/DVDs. However, using Windows Media Player, feature-rich video DVDs cannot be burned. You can burn your movies and videos to data discs for backup purpose and these discs can also be played on your PCs and some of the DVD players that support the file type and format added to the disc. This solution to burn movies to DVD free is simple and fast. Step 1: Launch Windows Media Player on your PC. Choose the Library tab from the interface. 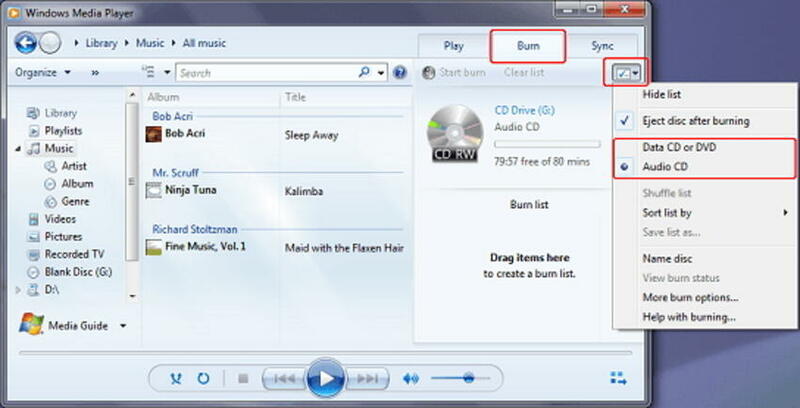 Step 2: Select the Burn tab, open Burn Options and choose from Data CD or DVD option. Insert a blank disc to your PCs disc drive. Step 3: From the library of your PC, choose the movies that you want to burn and drag them to the right pane of the interface for creating a burn list. You can even change the order of the added items. Step 4: Once the entire list is created, hit the Start button to burn your movies to DVD disc. The table below compares Wondershare UniConverter (originally Wondershare Video Converter Ultimate) and Windows Media Player on a number of parameters. So you can know more about the differences between free solution and professional solutions. All types of DVD and Blu-ray discs ( video, images, music). Support burning audio CD, data CD, and data DVD. 1. Which DVD format is best for DVD players? What format are DVD movies? Depending on the type of a DVD player, a number of formats are supported for playback. One of the most commonly and widely used DVD format that is supported by almost all types of players is MPEG-2. This compressed format is also known as H.222 or H.262 and allows seamless, quality playback of your videos. In addition to this, a lot of players also support playing MOV, WMA, and WMV formats.
. How to burn Movie Maker to DVD? Windows Movie Maker by Microsoft is video editing software that allows creating as well as editing videos. 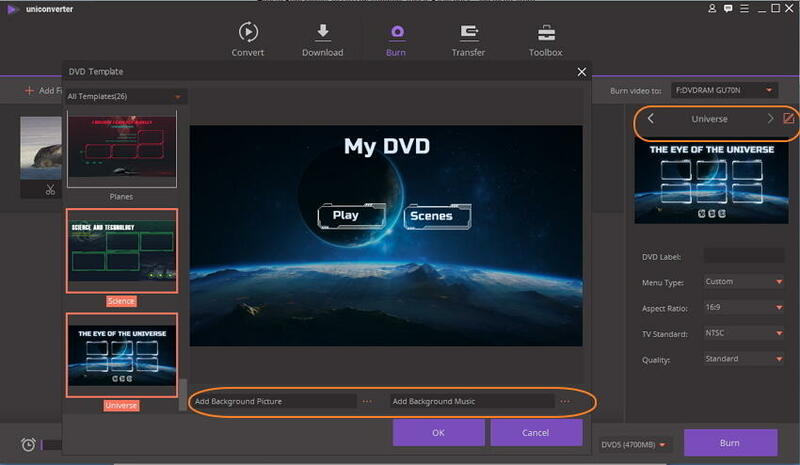 Additionally, the program also supports burning your movies to DVD with added features like timeline narration, special effects, preview, and others. Windows Movie Maker only works with Windows 7/Vista and it proves to be helpful in situations when you want to know how to burn movie maker to DVD for these OS versions. So if you are looking for solutions to burn a disc on Windows 10 or other versions, opt for professional software like Wondershare UniConverter (originally Wondershare Video Converter Ultimate). This software from Wondershare works as the best alternative to Windows Movie Maker DVD. If you want to learn more details about Windows Movie Maker DVD, you can move to how to convert Windows Movie Maker to DVD to learn more. 3. How can I burn movies to DVD free? In addition to professional paid software for burning movies to DVD, there is a decent number of free programs available as well. If you are looking for free software to convert movies to DVD, we have shortlisted the best three as follows. This simple DVD authoring program is free to use and allows to burn a movie to DVD in quick and simple steps. All popular and widely used video types and codecs are supported by the software for disc burning. Additional features include adding menu, adding subtitles, simple interface, and others. This is another popular free to use program that facilitates burning CD, DVD, and Blu-ray discs. Commonly used formats are supported by the software for burning bootable discs, video DVD, multisession discs, audio CDs, and disc images. Additional features of this free movie DVD converter include disc spanning, data recovering, direct copying, backup verification, and others. Burn your video files in MP4, AVI, VOB, MOV, and other formats to DVD disc using WinX DVD Author. This free DVD movie creating software allows creating home DVD discs in high quality on your Windows 10. Other features include creating menus, inserting subtitles, setting aspect ratio, choosing from PAL or NTSC DVD, video trimming, and others. If you love watching movies and wish to have your own collection, there are a number of sites that allow you to download from the latest to the old classics. Enlisted below are the top sites for downloading these movies. This is a popular site for watching and downloading movies and TV shows. The site has a collection of movies in different categories like Hollywood, South Indian, latest movies, and others. There is also a category of Dual Audio 720p movies for download. If you have limited storage space, there is also an option to download small-sized movies. This is a popular site for online watching as well as downloading movies in high quality. The site has a huge collection of Hollywood movies in the different genre. You can also watch and download your favorite TV shows from the site. This is a widely used site for online watching as well downloading movies, TV shows, and other content like sports and cartoons. The quality of video download using the site is good and the collection of the content is also huge. The site also facilitates watching movies on mobile phone. 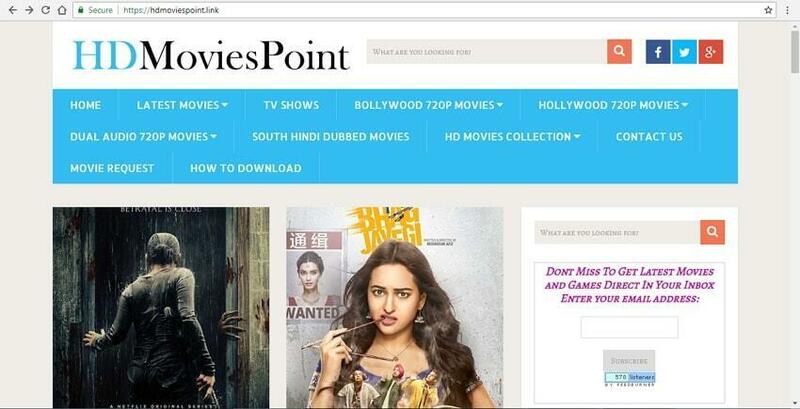 This is one of the trusted websites for direct download of online movies and no sign-up is needed. The collection of the movies on the site is huge which is updated regularly. For quick and easy download, the movies are available in a single file. 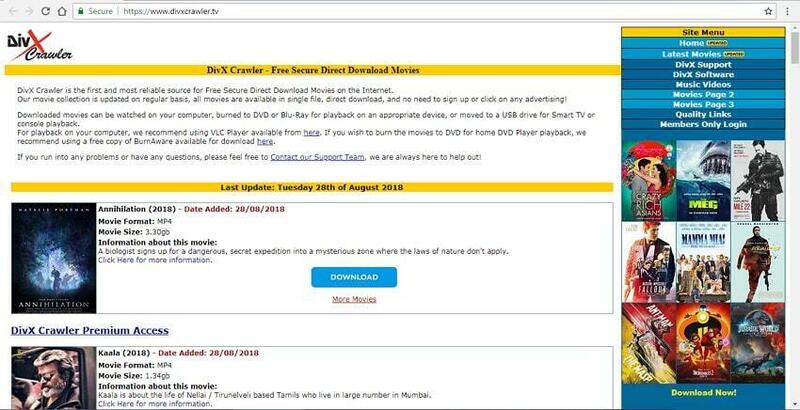 Movies downloaded from DivX Crawler can be played on a computer or other devices and they can also be burned to DVD or Blu-ray discs. YouTube is undoubtedly one of the best and the most reliable sources of online movies, TV shows, and other video content. 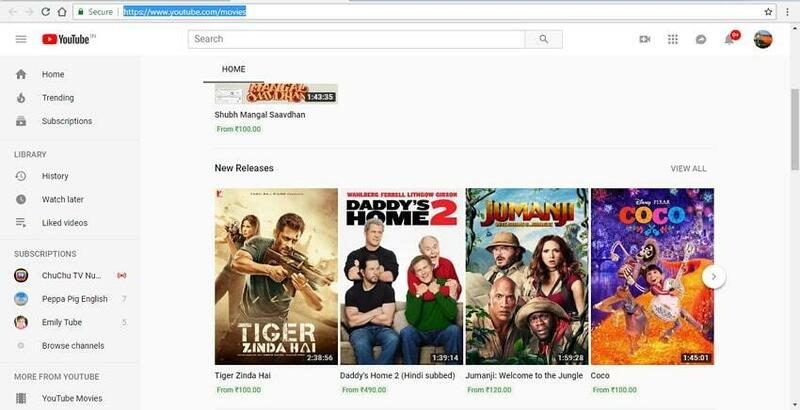 No matter, whatever language, type, or genre of movies you are searching for, YouTube is most likely to have it. The site has a collection of free as well as paid movies. 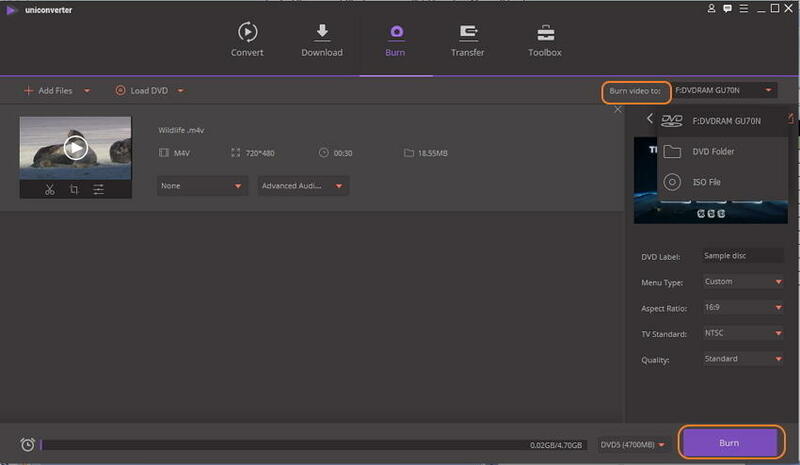 Though YouTube only allows online watching of its content, if you want to download the movies, you can use IDM Manager for the same. If you want to convert online movies to DVD, you can move to how to convert YouTube to DVD to learn more.